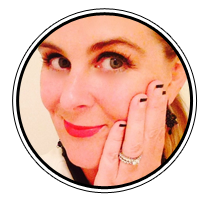 I wanted to begin showing how you can truly shop on a budget and look fabulous doing it. As a mum of three in a single income household, we make the dollars stretch where ever we can. 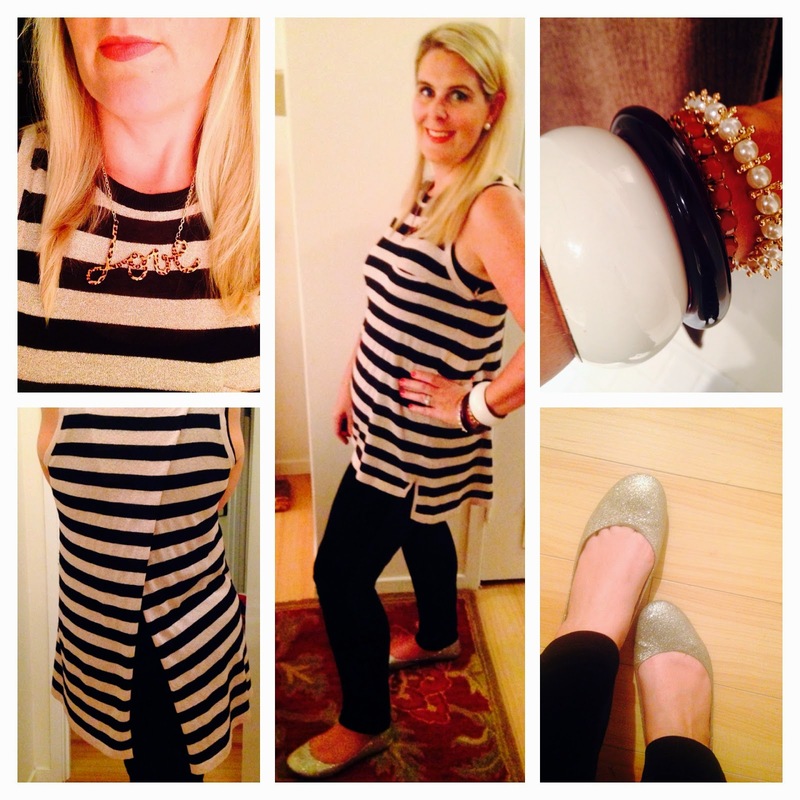 So, I’d like to show you how to style an outfit for about $50 each month, from different stores. 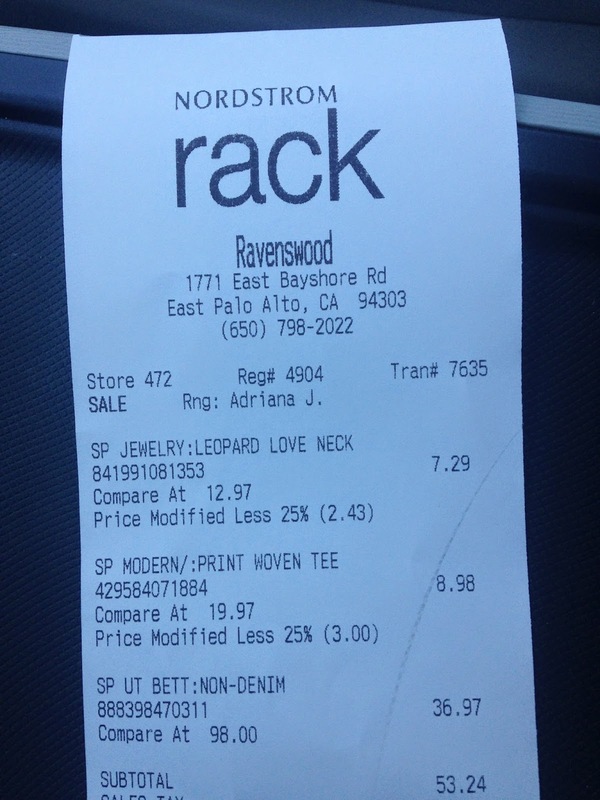 This week it was Nordstrom Rack. I adore The Rack, the prices are what I adore the most! I attended a Japanese party last night and since it’s been the hottest week for early October in forever, it was nice to sit outside and enjoy the absolutely delicious food, sake and Sapporo with lots of lovely people. Anyone would have some accessories at home, that they could add to an outfit to make it look even more fabulous. 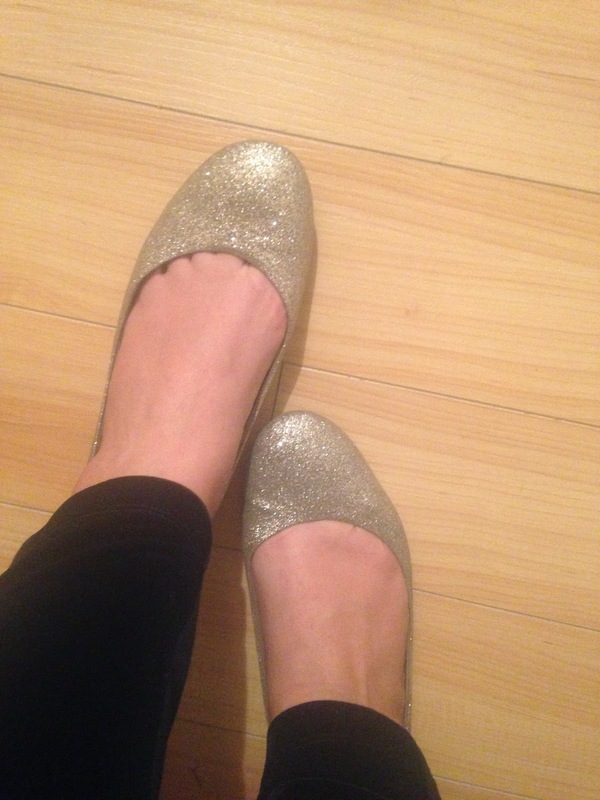 For me, that was adding my gold sparkly ballet flats and some chunky bracelets. 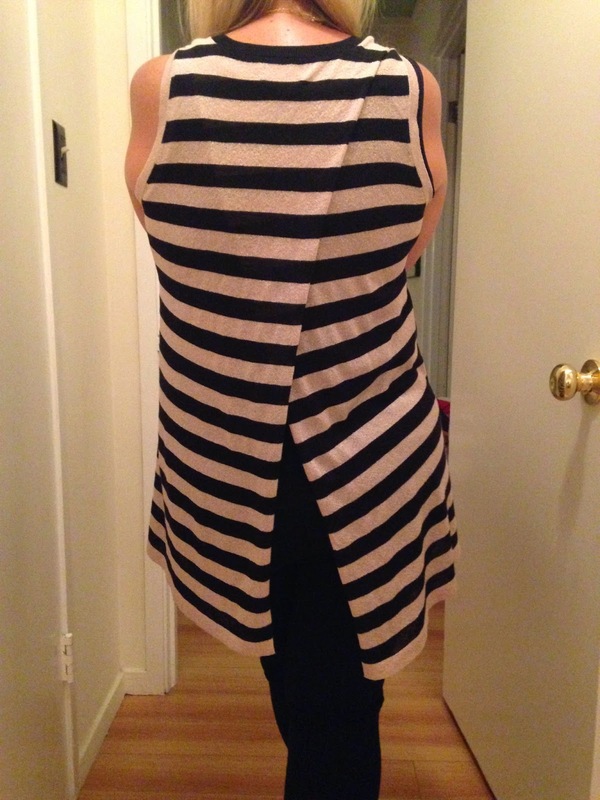 B. it went well wearing it against the stripe print. 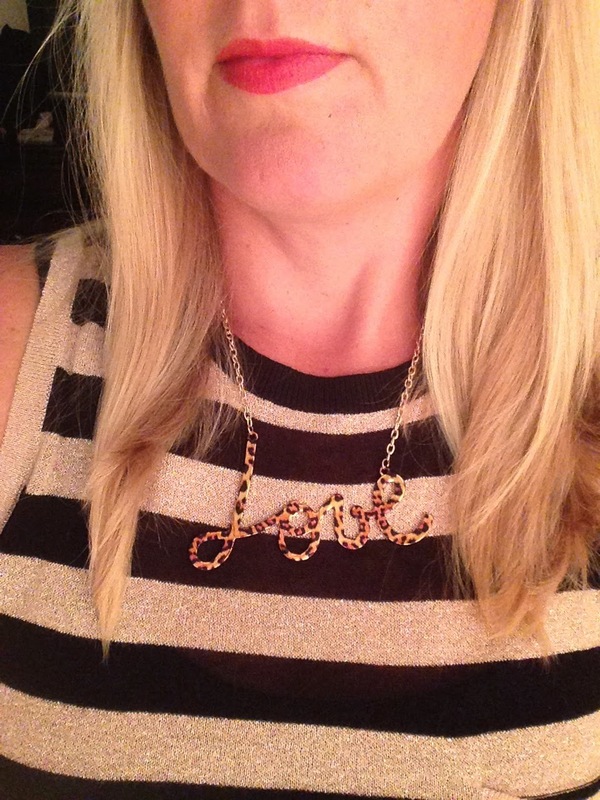 Super cute necklace and it was in gold tone which looked great with the gold stripes in the top I was wearing. And at $7.29, a super cute price to boot. The top! What more can I say about the top but how cute is it! I loved the opening at the back and the length. Since I was wearing Jeggings, it was the perfect flow. I threw on a black singlet top (tank top) underneath. The designer is Leith and original price was $49, but at The Rack for $8.98. My most favorite part of this outfit was the pants. 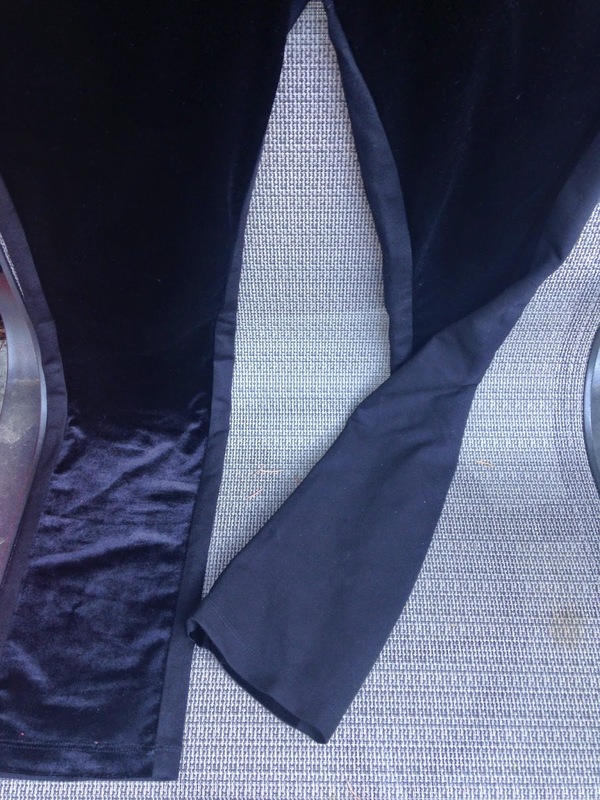 They were NYDJ Stretch Velvet Front Leggings and OMG, my kids couldn’t stop hugging my legs, the velvet was absolutely gorgeous to run your hands up and down. And they were so comfortable with an elastic waist-I love an elastic waist! The back of the pants are a 5% spandex cotton, I just love the ‘lift/tuck’ technology in NYDJ pants. Moving into winter, I can see these pants getting a lot of love from me. Originally $98, at The Rack for $36.97. Boom. Ballet flats bought this past summer at Payless Shoes for about $12! The shoes and bracelets I already had. 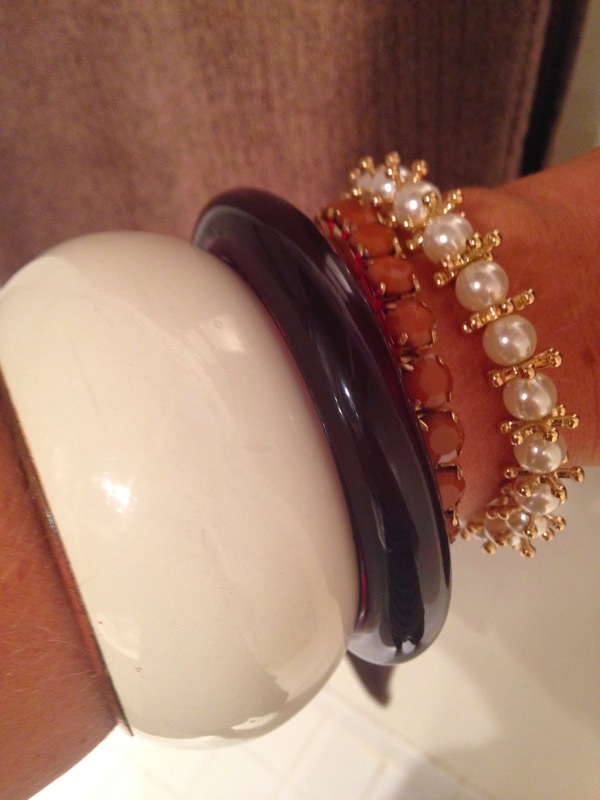 I wore the chunky white last weekend (see Oktoberfest post) and this week I have added even more dimension with some more bracelets that I had in my jewelry collection. So calling all Fashionista’s, you can look fabulous even on a budget. I think I did amazing for $53 and am excited to see what I can come up with next time. If you have any challenges for me, leave me a comment and let me know. Wow, impressive stuff. I assumed the black pants were a wardrobe staple and not part of the budget. Any tips for the untrained stylist on how to navigate The Rack or other bargain shop to find such gems? @ Beck, THE most comfortable pants on the planet!